Side 1 printed with 2 PMS colors using heavy coverage. Side 2 printed with 1 PMS color using heavy coverage. 120lb C2S Gloss stock coated with Aqueous Satin. H3 business card slits on right pocket. A simple, elegant cover turns into a bright, charismatic interior. The canary yellow panels are reminiscent of the sunshine in Southern California, where photographer Karl Ko captures the beauty of couples' wedding days. A stylized white ring on the left panel resembles a bride's diamond ring; the logo pairs it with a man's plain gold wedding band to symbolize matrimony. Ko's contact information appears on the pocket, so couples can reach him with any questions or requests. Four-color process printed on Side 1 of 14pt C1S Semi-Gloss stock. Coated with Aqueous Matte and Spot Gloss. V1 business card slits on right pocket. A twin-engine jet races toward the viewer at warp speed, swooping through the sky on a curved white contrail. Its wings and fuselage tip sideways as it banks into a slight turn. 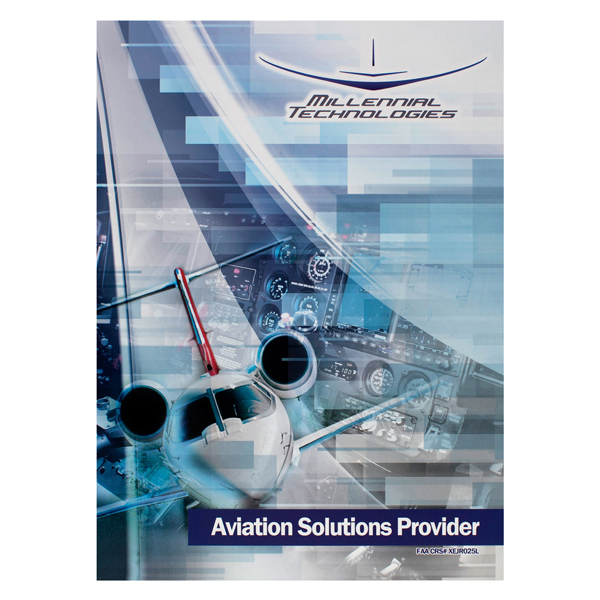 The action-packed cover sets the scene for aviation equipment supplier Millennial Technologies. An image of a control panel shows some of the avionics the brand sells. Blurred blue, purple, and white blocks simulate the sky and create motion. 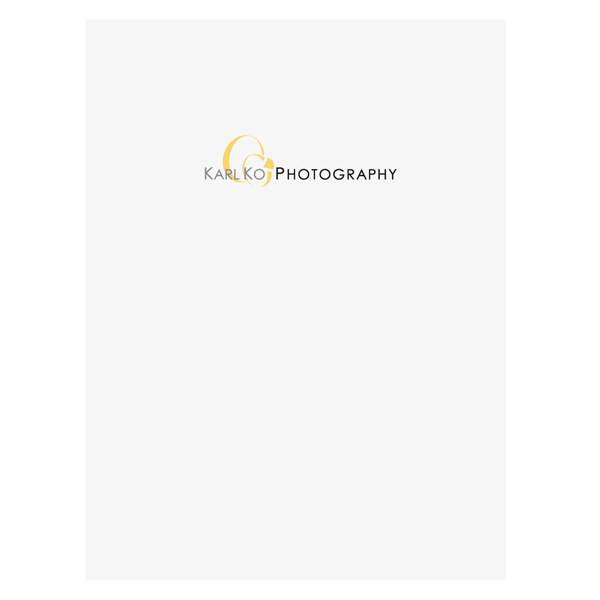 The inner pocket and back cover feature a grid, forming a textured area on which to place contact information. Four-color process printed on both sides of 130lb C2S White Dull stock. Side 1 coated with Aqueous Soft Touch. Side 2 coated with Aqueous Matte. H2 business card slits on right pocket. 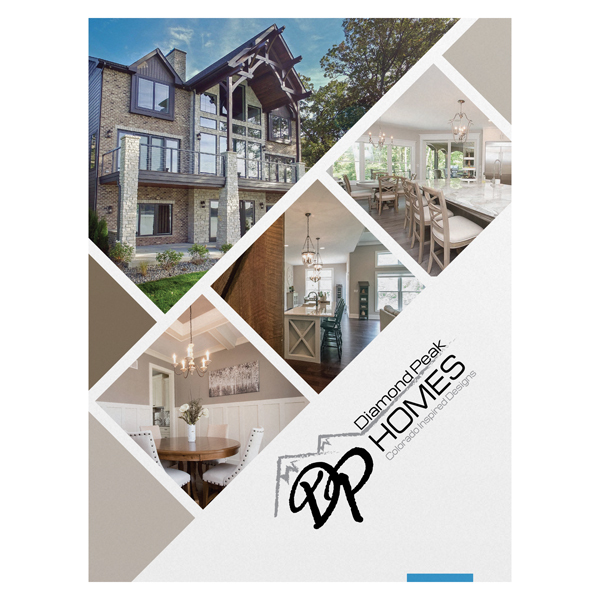 Diamond Peak Homes lets its work speak for itself with this design. Images of the company's finished products are featured on the cover in diamond-shaped boxes to match the company name. Its logo, an elegant script monogram inside a pair of mountains, ties to the Colorado-inspired designs the company creates. More information about the company is inside on the left panel, along with a few more home images. Company contact information and the logo are on the right pocket. Only the logo and website are on the back. Four-color process printed on Side 1 of 12pt C1S Semi-Gloss stock. Coated with Aqueous Gloss. H1 business card slits on left pocket, with B2 brochure slits on right pocket. An intricate, lacy blue pattern adorns the front cover of The Brickyard at Riverside's design. Vertical stripes on both sides cinch in the pattern, typography, and photos with a style resembling a wedding invitation. 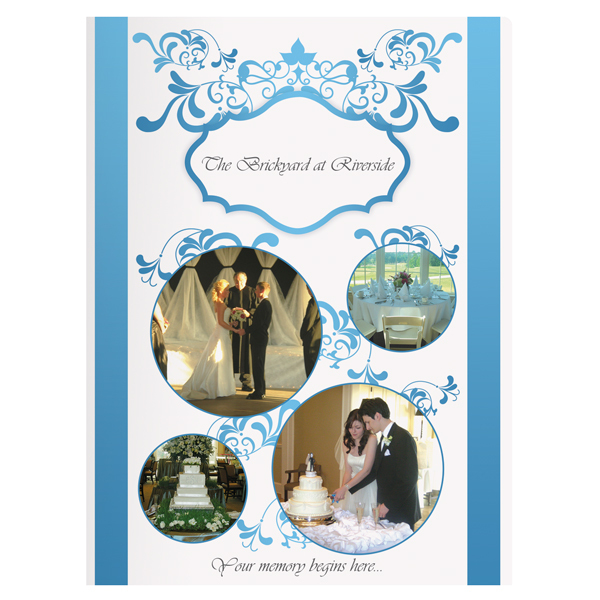 Decorative floral swirls enhance the elegant look and connect the photos, which are rounded for a softer look. The photos depict past weddings held at the venue, giving future brides and grooms an idea of what their own special day might look like. Two additional images on the single right pocket are bordered in a matching pale blue pattern, tying the design together inside and out. Precision-cut square corners give a professional, sophisticated look to this one-pocket product. Upon opening the cover, recipients will see your 8 1/2" x 11" documents prominently displayed in the single right pocket. The pocket's location on the right side opens up the left interior panel for countless design possibilities, such as a comprehensive product list, a letter to your customers, or an extra-large photo or illustration.